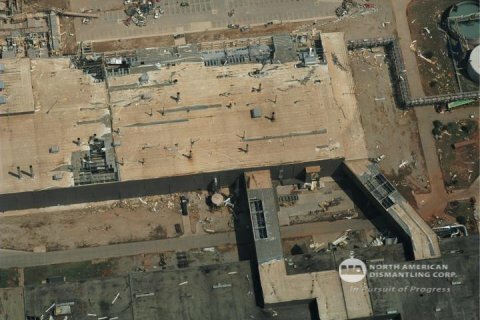 Tornado Emergency Response | North American Dismantling Corp. 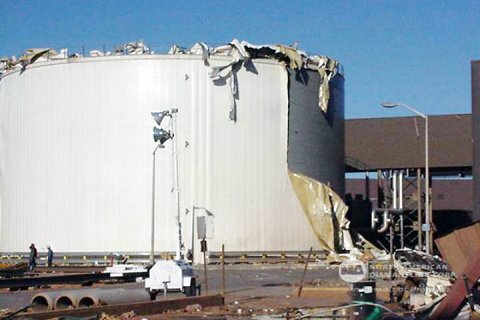 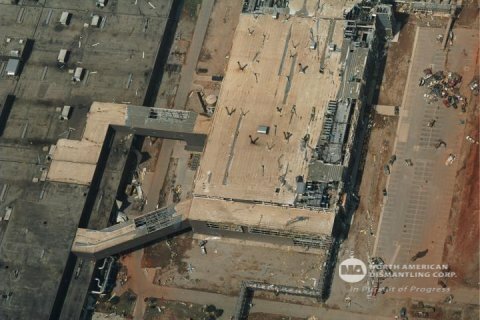 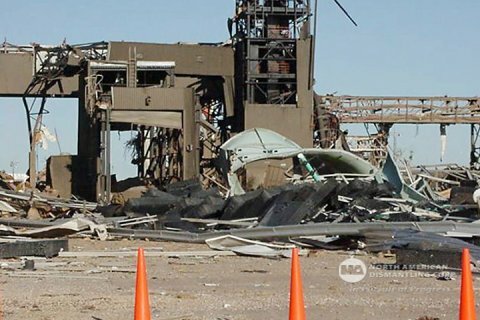 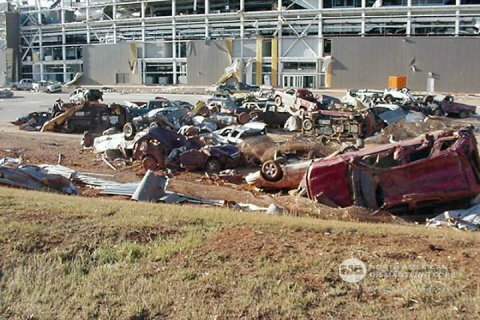 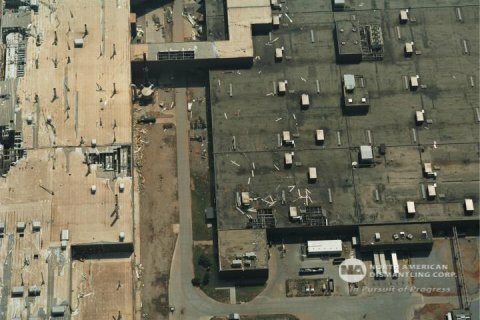 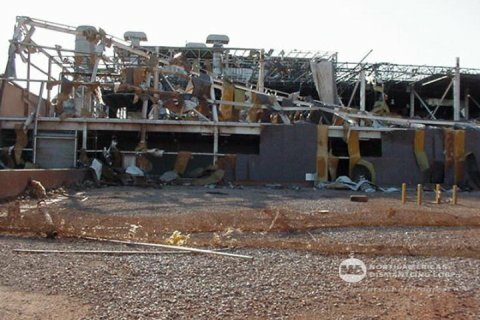 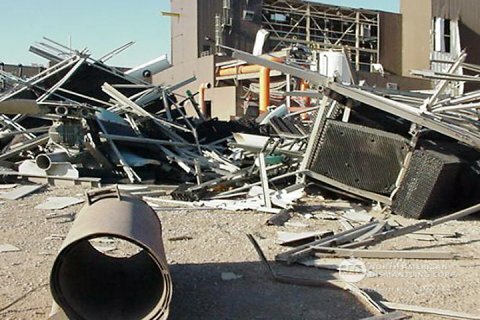 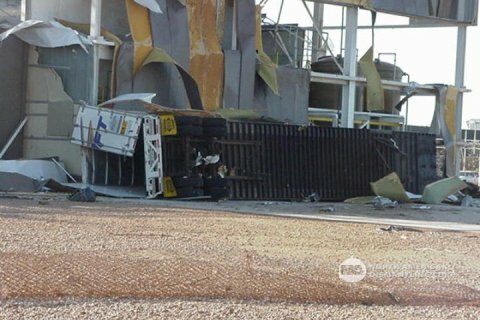 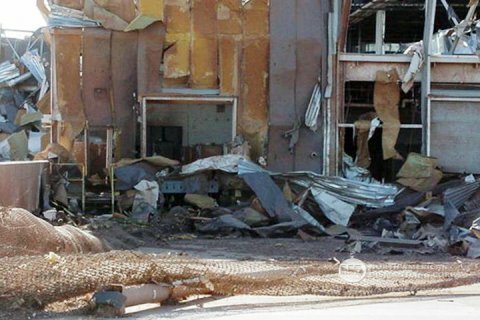 The tornado damage was so severe GM’s initial estimates indicated it would take several months to get the facility back up and running. 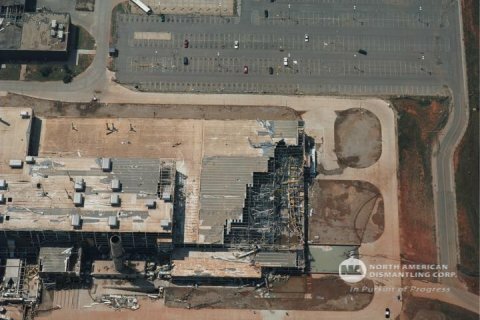 However, the strength of the performance of the Oklahoma City reconstruction team completed the remarkable task in less then two months saving General Motors Billions of Dollars. 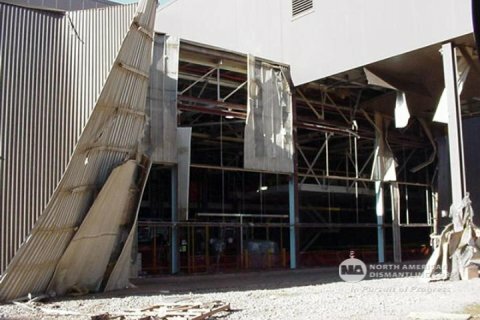 The reconstruction took place, working a 24 hour, seven day a week schedule. 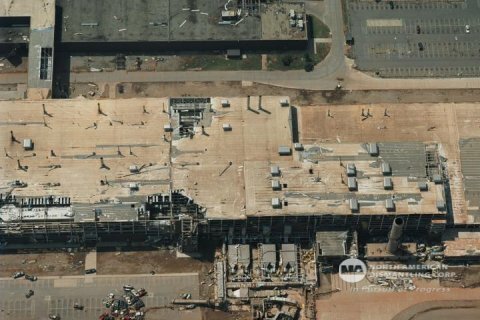 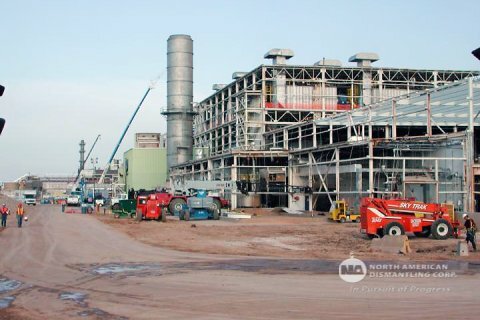 The team replaced 300 tons of structural steel, 18,000 feet of heavy electrical cable, 500,000 square feet of siding, 500,000 square feet of roofing and 8,000 tons of water cooling capacity. 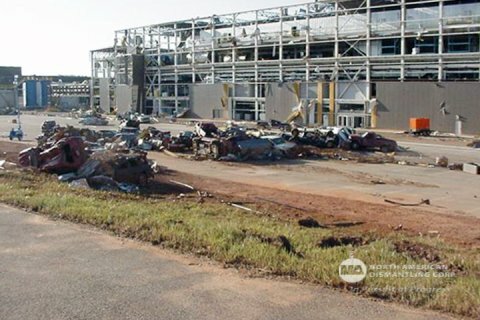 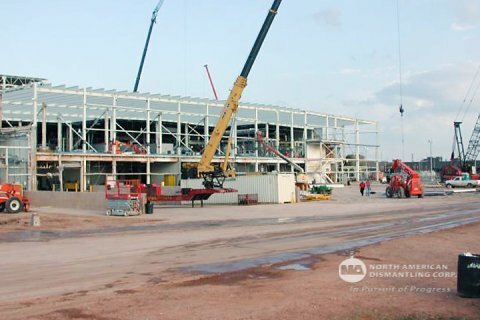 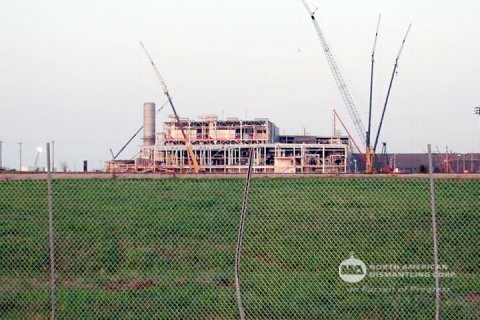 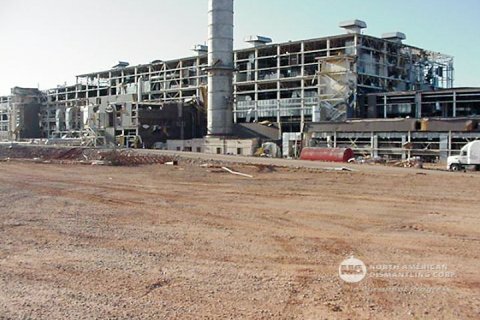 All of this work was completed in a 7-week period allowing General Motors to resume total production on June 30, 2003.
on your site emergency response project.